Ullswater View Cottage01539 726458work Self-cateringLocation, location, location the three things you need for the perfect holiday cottage and this has all three. Ullswater View cottage was built for the miners of the Greenside Lead Mine and is situated 1/2 mile above Ullswater on the main route to Helvellyn, making it a perfect holiday for walkers, country lovers and those wishing to relax in peace and quiet surrounded by spectacular views. The end terrace Lakeland stone cottage is double glazed, gas centrally heated and sleeps up to 6 people with private parking for 3 vehicles. 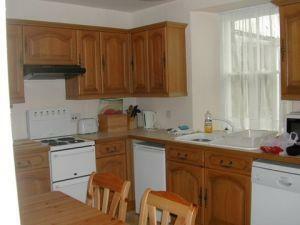 The cottage comprises:- Back porch/utility room with washing machine, freezer, cloakroom with WC. Dining/kitchen with electric cooker, fridge, microwave and dishwasher. Lounge with coal effect gas fire, smart TV, and sun porch with magnificent views to Helvellyn and Ullswater. First floor, double bedroom and a bunk bedroom with adult sized bunks and a shower room with hand basin and WC. The main family bedroom is on the second floor with a double bed, hand basin, TV,DVD, Video player, 2 seater settee, exposed beams and superb views of all the surrounding fells and Ullswater. Ullswater View Cottage offers weekly bookings starting on Saturday. Amazing views and cottage equipped with everything you could need. Location, location, location the three things you need for the perfect holiday cottage and this has all three. All electric and bed linen included, gas meter takes £1.00 coins and up to 2 pets welcome. Wi-Fi included. Leave M6 jct 40 and follow signs for A592, Rheged/Ullswater steamers to Glenridding. 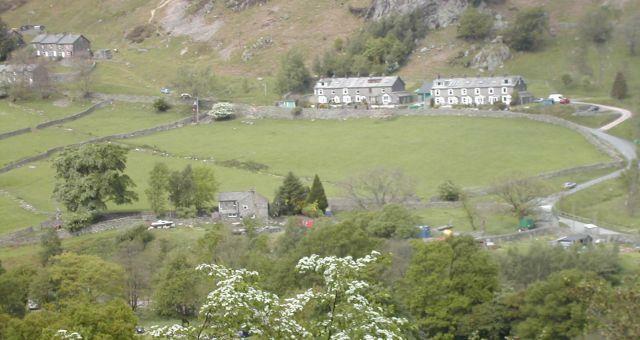 Turn first right into Glenridding and follow road, passing Travellers Rest pub until reaching Halton Terrace. Parking for No 7 is to the right up a concrete road before reaching Halton Terrace. Final cottage details and key location will be given 1 week before your stay.